This past week I’ve been finishing up art pieces that will be included in my December show at our local Dunn Bros. coffee shop. 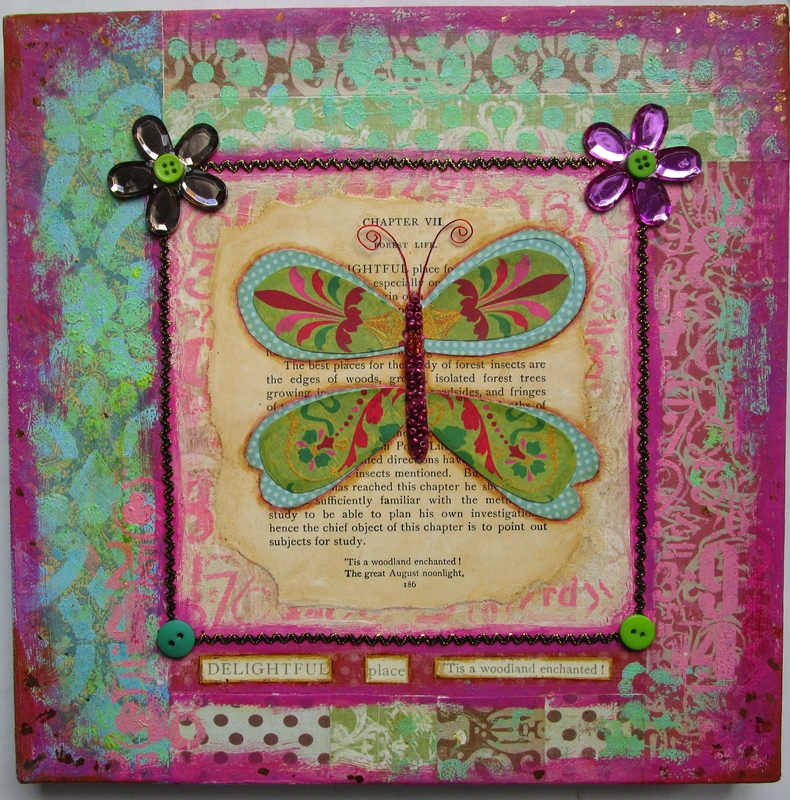 While waiting for a layer of super heavy gesso to dry after adding texture to a larger piece, I decided to revisit the butterfly theme on a smaller canvas. Since winter has arrived early to Northern Minnesota, I’m grieving the loss of warm weather, but even more the colors that are decidedly absent during the winter months. It seemed like a good occasion to reach for my vintage insect book and make my own summer! 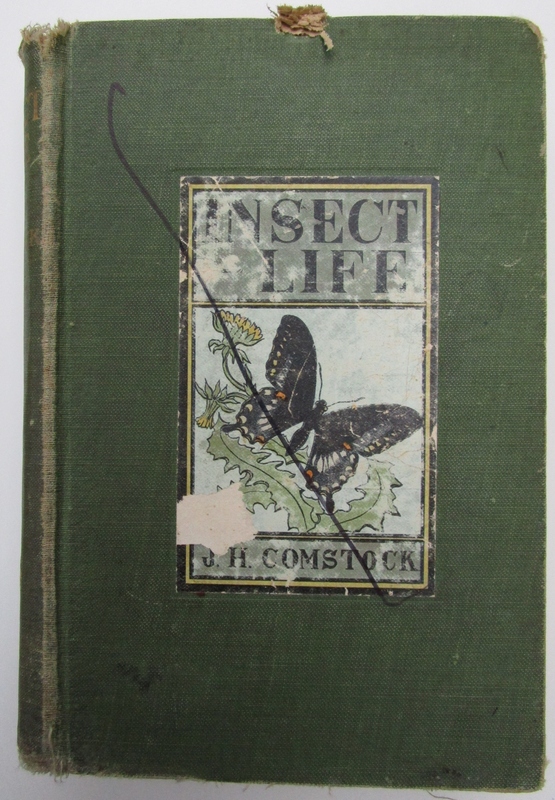 A fair amount of this book pertains to identifying, capturing and preserving specimens of insects….not terribly romantic for a whimsical art piece. I did find some pages that were suitable, however. The above photo was taken with my phone….pretty bad. I also realized it needed a SERIOUS color makeover, and added the bright violet to bring it to life. 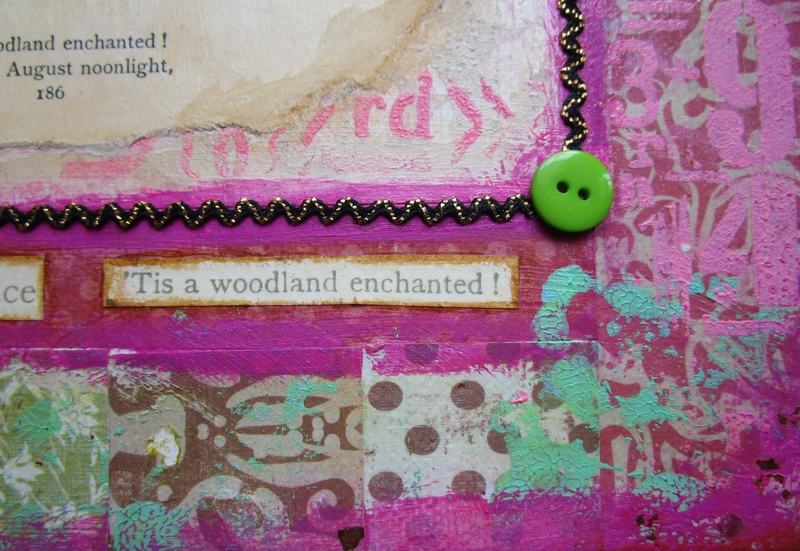 I used vintage ric-rac, mica flakes, beads and buttons to complete the piece. It was fun to experiment with color and see how adding the violet made the piece more interesting. 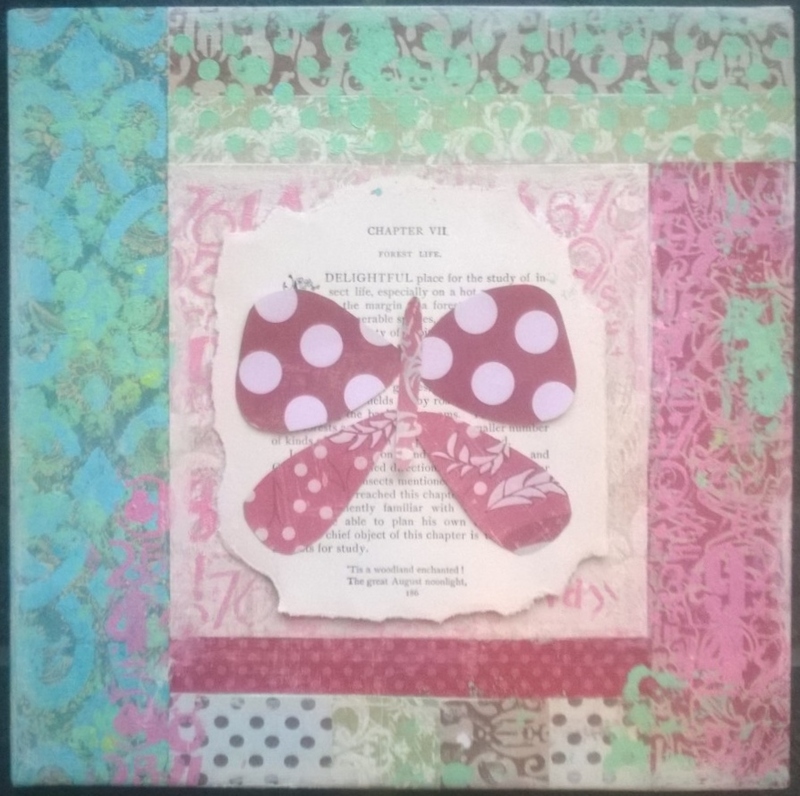 It was also fun to use the mint green and lime green together as an unexpected combination. Thanks for visiting my blog. Have a great week and Happy Thanksgiving!